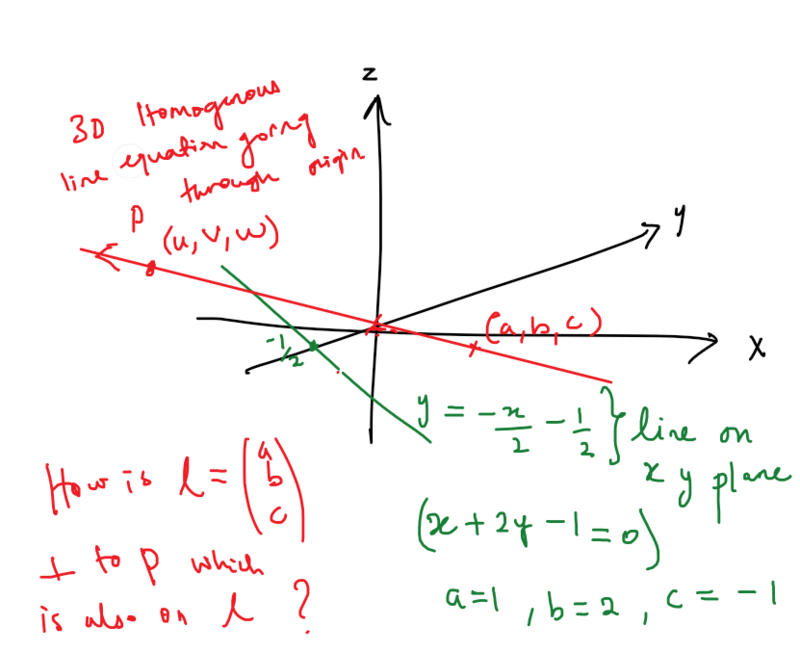 I am trying to understand how the following identity in homogeneous coordinates comes about and how to visualise the two multiplying parts P and l in the 3d cartesian coordinates. Are they orthogonal to each other in order for the dot product to be 0. Can you show it in a picture? My understanding is shown in the picture below. Browse other questions tagged projective-geometry homogeneous-equation or ask your own question. When are two 3D Lines parallel in Plücker matrix form?